Order By Product Number: This order form will allow you to select products by Product Number as displayed in our catalog. Please enter the product numbers you wish to purchase in the boxes below, and then press the "Add to Cart" button. Econo-Pak carriers snap apart without cutting. These are our most economical perforated carriers. 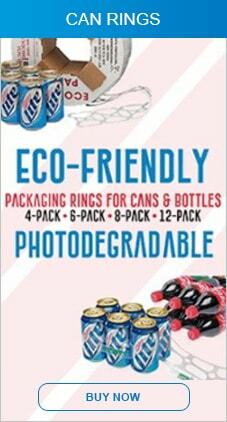 Econo-Pak has been redesigned to fit both beer and soda can lids. (Sizes #2 and #4). To learn more about can lid sizes click here. it works great and great price. snap apart easily, cans go on quick and easy and stay on!! I am gonna reorder again soon for sure.